1.) Microsoft Visual Studio 2010 SP1 or greater: Microsoft announced Windows Azure in Microsoft Developer Conference 2008 (PDC-2008). Microsoft Visual Studio 2008 Professional or greater version can be used to develop your Windows Azure application. Right now Visual Studio 2012 is already available but if you can’t make it, I highly recommend at least grab Microsoft Visual Studio 2010. 2.) Microsoft SQL Server 2008 or greater: In Microsoft cloud environment, you have to use “SQL Azure”. You can access SQL Azure database either from your online azure account or from SQL Server Management Studio installed in your computer. 5.) Windows Azure SDK: If you install full SDK either for Visual Studio 2010 or for Visual Studio 2012, you don’t need to install step 3 and step 4 manually. This SDK is a bundle of all required tools that you need for setting up Windows Azure Environment for .NET or JAVA or Python or php or Node.js. download “Windows Azure SDK“. You have a choice here based on your Visual Studio Version (Visual Studio 2010 or Visual Studio 2012). 6.) 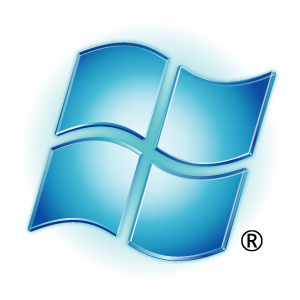 Windows Azure Account : Microsoft Provides Free trial for 90 days for Windows Azure account. You can host 1 relational database, 10 websites and unlimited inbound bandwidth with this account for 90 days. You need a credit card to setup this account to prove your identity, though it is free. If you are interested, register here. 7.) Office 365 : Office 365 is a Microsoft’s way to provide Share Point, Ms-Office, Exchange Server & Lync Server combo as SaaS. You can get more details about Office 365 from here. You can get 30 days free trial of Office 365, if interested then register here. BTW, credit card is not needed for registering for free preview. This entry was posted in Cloud, Setup development environment for Windows Azure, Windows Azure and tagged Cloud, Microsoft Cloud, Setup development environment for Windows Azure, Windows Azure on October 4, 2012 by Riteshshah.